Looking for a handy JPG-to-BMP conversion tool? The BMP (bitmap) format is a popular standard in which to save digital images. The only problem with this format is the comparatively large size of the image files. 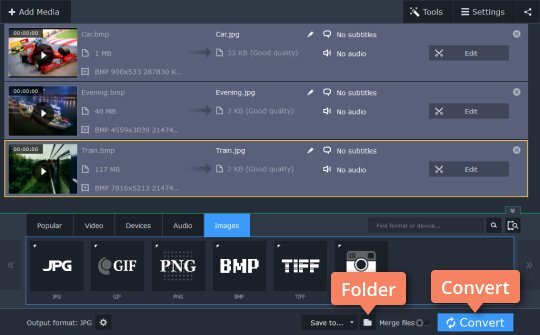 If you have a huge graphic files collection saved as BMPs, sooner or later you’re going to think about compressing it into some other format like JPEG, especially if you want to share your images online. 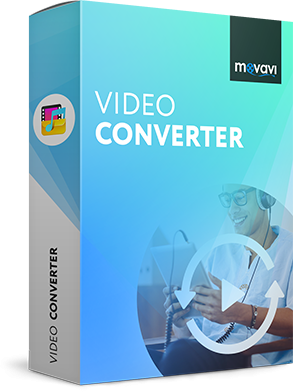 To do this, you’ll need a BMP file converter – and an ideal solution is our multi-functional tool, Movavi Video Converter. The program works with BMP images and with many other media formats as well and is very easy to use! Download the necessary version for free and follow our guide below to see how simple it is to quickly convert your photos. Download the program from the Movavi website, open the installation file, and follow the on-screen instructions. 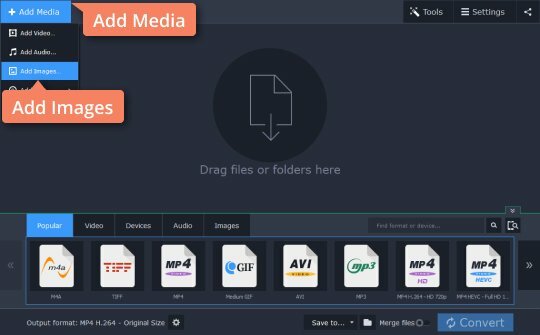 Click Add Media, choose Add Images, and select the photos for conversion. You can upload individual images or multiple photos at one time. If you’re converting bitmap to JPEG, click Images in the lower part of the interface and choose JPG. 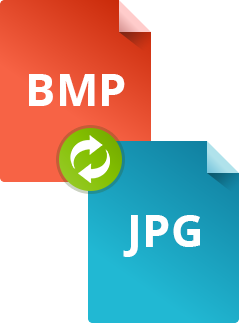 If you need to convert your files from JPG to BMP, choose BMP. Click the Folder icon, choose the destination folder for your photos, and click Convert. When the program has finished converting, the output folder will open automatically. As you can see, our multi-functional program can act as a smart BMP converter. 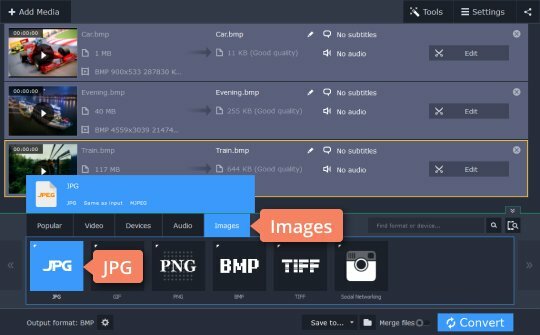 Image converting has never been so easy!